I WILL BE GIVING AWAY PDF COPIES OF EVERY GIRL'S DREAM TO TWO LUCKY COMMENTERS TODAY! BE SURE TO INCLUDE YOUR E-MAIL ADDRESS IN YOUR COMMENT! I’ll leave you with an excerpt of EVERY GIRL’S DREAM, available now for only $1.99. Tom Rizzo writes westerns — good ones, with traditional action aplenty and, so far, romantic elements that play significant roles in the story. He writes westerns so well, in fact, that his debut novel, Last Stand at Bitter Creek, was among the nominees for the 2013 Peacemaker Awards, in the Best Western First Novel category. The man bears watching, not only because he’s a rising voice in the genre, but also because of the level of historical detail he incorporates into his work. 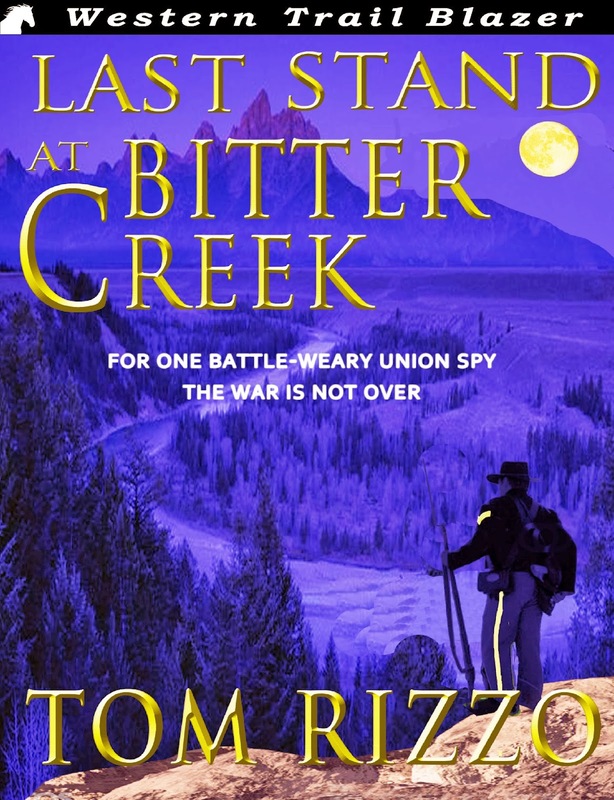 Rizzo loosely based Last Stand at Bitter Creek on a little-known theft of valuable documents during the Civil War. The resulting action-adventure tale reads a bit like Louis L’Amour dressed National Treasure and Robert Ludlum’s Bourne novels in six guns and denim. Though Rizzo presents his tales from the male point of view, his female characters clearly are more than stereotypical damsels in need of rescue by a hard-bitten cowboy. Rizzo’s women think, they act, and they help drive the plot. According to Rizzo, it’s only wounded. Tom Rizzo: Westerns represent such a rich legacy of American history. I grew up in the Midwest, small-town America. Like others, my introduction to westerns came from black-and-white movies. The plots were basic, simple, and straightforward in most cases, but it was the sense of adventure that attracted me. Then, I began to read various authors and became impressed with their realistic visions and interpretations of the frontier. As much as anything, however, it was the physical beauty of the West that captured my attention and fired my imagination. The language of the West is its landscape — a visual poetry of mountains, rivers, streams, and deserts, rolling hills, and the sky. Most authors who write in the genre grit their teeth every time they hear “westerns don’t sell” or “the western is dead.” Judging by the number of authors who continue to write westerns, though, a funeral may be just a tad premature. What would you like people who insist on consigning westerns to Boot Hill to know? I think, at times, there’s sort of a Neanderthal mindset about westerns. Not from the readers’ viewpoint, but from that of literary agents and publishers. It’s as if they’re standing wild-eyed, brandishing a garlic ring and crucifix in an attempt to ward off the evil western writer who wants to foster the traditional shoot-’em-up, cowboy-and-Indian story. As you know, this type of thinking is downwind of reality. This genre accommodates a number of sub-genres. Westerns, in fact, represent historical adventures, historical mysteries, historical thrillers, historical romances, and even historical horror and fantasy. Perhaps there’s a marketing disconnect. We have to do a better job of attracting readers who haven’t yet tested the waters. One of the common laments we hear within the admittedly aging community of western historical writers is that the traditional market for westerns is aging, too. Some see attracting younger readers as the key to keeping the genre alive, but no one seems quite sure how to go about that. Got any ideas? Why don’t you just put me on the spot? A great question with no easy answer. 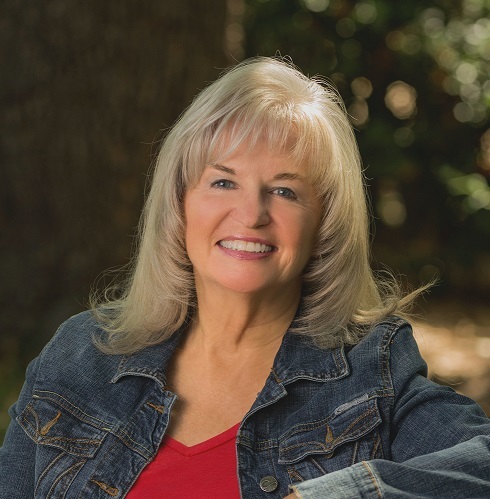 Some writers — Dale B. Jackson , JR Sanders, and Cheryl Pierson come to mind — have written novels aimed at the young adult and have done very well with those books. That could be a way to lure younger readers into sticking with the genre as they age. At the same time, I think it comes down to an old-fashioned sales and marketing strategy in developing a message aimed at convincing younger readers to at least try the product. Westerns are not only great tales of adventures, but also wonderful resources of American history. 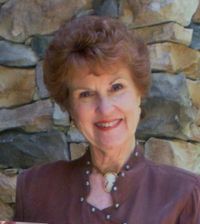 Traditional westerns often include a conspicuous romantic component, although many traditional western writers — especially men — are hesitant to call their stories “romances.” Your short story “A Fire in Brimstone” uses a romance between the sheriff and a café owner to propel the plot, and a case could be made for the story’s conclusion meeting the happily-ever-after-ending requirement of the romance genre. Where do you draw the line between “western” and “western romance”? I don’t know that I could draw a line between the two — at least consciously. 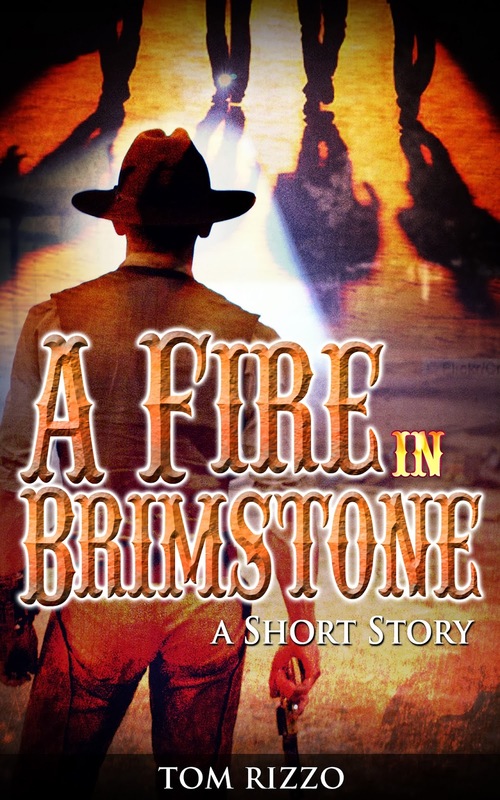 When I wrote “A Fire in Brimstone,” the term “western romance” wasn’t top-of-mind — or any other term, for that matter. The romantic attraction between the two characters seemed, at least to me, a natural component of the story. Sometimes labels get in the way of good storytelling. I think most writers have of an umbrella goal in mind when they write. For example, no matter what the plot, I try to present characters in conflict — either with one another or with their own emotions — who face adversity and are striving for some level of justice or redemption. You’re fond of a variety of genres from western to science fiction, noir, mystery, and political thriller. Do you find your eclectic tastes coming together in your work, intentionally or otherwise? How difficult is it to make all those influences work together? What I find remarkable about the structure of the western is the ability to weave in varied sub-genres without sacrificing the concept of a true western. The difficulty, of course, depends on the intricacy of the plot or storyline. The western can easily accommodate mystery, noir, and political thrillers. Science fiction, as well, but that would be a bit of stretch for me. On your blog, you devote significant virtual ink to exposing some of the lesser-known scoundrels of the Old West — outlaws and wannabes alike. In fact, you’ve published a non-fiction book, Heroes & Rogues, containing profiles of some of the not-quite-notorious baddies and their not-quite-famous adversaries. To what do you attribute this fascination with villainy? I think it goes back to my childhood. When my brothers and the neighborhood kids played so-called cowboys and outlaws, I was the first to volunteer to play the outlaw. They couldn’t understand why. But, I always felt an incredible amount of freedom in such a role. No rules to follow. No warning anyone what you were about to do. No decorum to maintain. The freedom to be devious, sneaky, and hide anywhere you could — as long as you stayed in the neighborhood and didn’t climb into Mr. Quinn’s Bing cherry tree to hide, because Mr. Quinn would shoot you. It’s fascinating to me how many men wore a badge and then turned outlaw. Or kept the badge and played outlaw anyway. It amazes me how many of them would switch back and forth. Many — or most — of those who did ride the outlaw trail led very short lives, on average. If you had lived in the Old West, when and where would you have taken up residence, and what line of work would you have pursued? Wyoming, I think, would be a great place to live. Spacious. Beautiful. I would have been happy to live in a small-but-growing town and run the local newspaper. Newspaper editors, as you know, weren’t worth their salt unless they raised a little hell. And that would be fun, as long as you didn’t have to be fast with a gun. Find Tom Rizzo online at TomRizzo.com, as well as on Facebook, Twitter, and LinkedIn. His Amazon author page offers a listing of his books. Clothing has long been something everyone needed, and for years, around the world, men and women, imagined a machine that could assist in creating the highly demanded commodity. In 1804 two men, James Henderson and Thomas Stone received a French patent for a mechanical principal to be particularly applicable for the manufacture of clothing, and Scott John Duncan received one for an embroidery machine, however, neither invention worked and were soon forgotten. 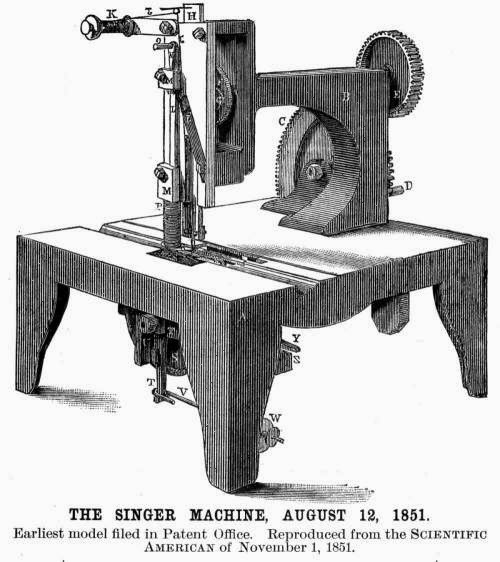 In 1830 a French tailor, Barthelemy Thimonnier, received a patent and had machines that did work. By 1841 he had a shop in Paris with 80 machines stitching uniforms for soldiers, however a mob of angry tailors attacked his shop and destroyed his machines. His made several attempts to restore his shop and business, but was doomed and died a poor man. Several other machines were invented, but most either quickly malfunctioned, couldn’t stitch curved or angled lines, or simply didn’t work. In 1834 Walter Hunt created the first machine that did work, however, he feared it might cause unemployment and lost interest in the machine without ever patenting his invention. Elias Howe, whose wife took in sewing to support their family regularly, received the first patent for a sewing machine in America, and died a rich man mainly because others copied his patent, (you can read my post about him on www.cowboykisses.blogspot.com). His machine worked because he took note of how the thread had to go throw the tip of the needle rather than the end. 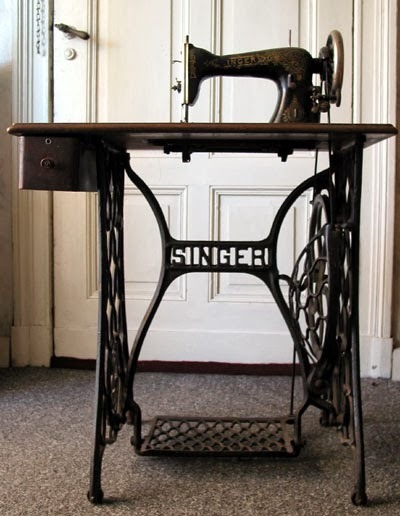 Isaac Singer was one of the men whose machine design closely mimicked Howe’s (Singer had to pay Howe a portion of his sales for years) and whose machines soon became common in women’s parlors or sewing rooms across the nation. Isaac’s first love was acting, and after inventing and creating the I. M. Singer & Company, he used the money to fund a five year long acting tour. His sewing machines became popular quickly because of the ease to adapt them for home use, and his company’s policy to allow customers to make installment payments. Singer took note of how Samuel Colt and Eli Whitney used interchangeable parts in their firearms, and did the same with his machines. Doing so allowed him to increase production and cut the prices of his machines made for home use down to a mere $10. Singer was also quite an adulterer. 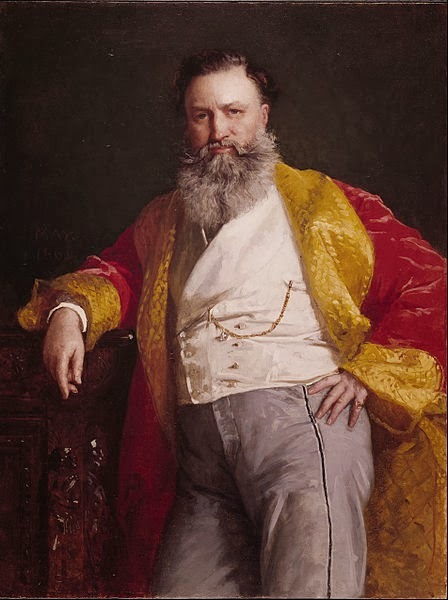 In 1860 he admitted to fathering 18 children with 4 different women, at least two of which he may have been married to at the same time, although none of the women knew about the others, upon marriage (he used the sir name Matthews, Merrit (his middle name) and Eastman, and possibly others, for his alternate families). 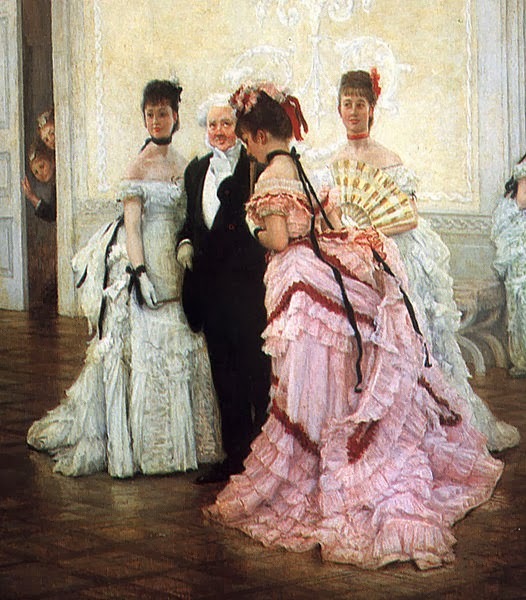 When one of his wives discovered the others, as well as his lady-friend who was also his employee at the sewing company, Isaac moved to Paris, along with his lady-friend, whom he had more children with before marrying yet a different woman. By his death in 1875 Singer had fathered 24 children. He died and is buried in Europe. The I.M. Singer & Company was dissolved by mutual consent and continued doing business as The Singer Manufacturing Company in 1863. Singer’s partner from the beginning had been Edward S. Clark, a lawyer and Sunday school teacher, whose management skills were what advanced the Singer company worldwide. 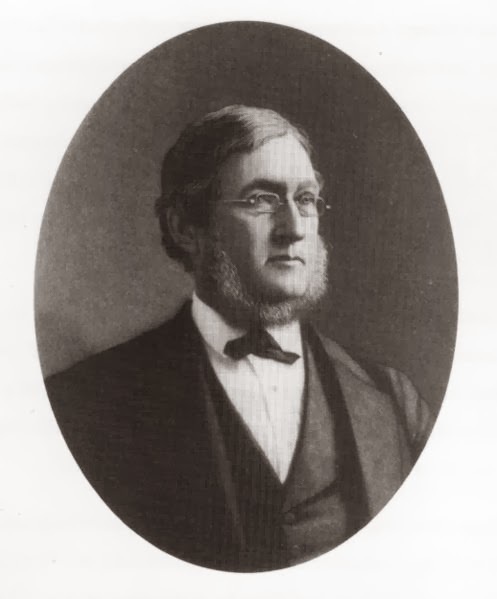 Isaac Singer and Edward Clark’s mutual consent to dissolve their partnership was rather frosty, and Singer insisted Clark could not become president of the company while he was still alive. The two of them chose Inslee Hopper, an office boy. However, both Singer and Clark insisted Hopper had to become a ‘respectable married man’ in order to obtain the presidency. Hopper married the lady he’d been seeing and took over the company, and ultimately earned a salary of $25,000 per year by the time he turned the presidency over to Clark upon Singer’s death in 1875. Clark expanded the business by setting up franchises and when overseas demand outgrew current production, he set up factories in Germany, Russia and Canada. Clark remained president until his death in 1882 and left an estate worth more than 25 million dollars. The Clark family owned controlling shares and ran the company as a family business until 1959. The company has been sold several times since then, but the name has remained the same. I have my grandmother’s Singer. Its treadle machine, and the one I learned to sew on. I remember spending hours sewing clothes for my Barbie dolls. I also remember running the needle clear through my thumb one time, nail and all. It looks similar to this one, but has more drawers on the cabinet. Currently I have a free read up on Harlequin’s website, The Stolen Kiss, where the heroine is a seamstress, and had a Singer sewing machine. The moment beautiful Cassandra Halverson arrives in Tulsa, Micah Bollinger knows she'll be trouble. No sooner has she set up her dressmaker's shop than she starts poaching his customers. Determined to beat Cassandra at her own game, Micah decides to keep his enemy close! Cassandra wants nothing more than to create a new life doing what she loves and to leave her past behind her forever. But the presence of her infuriatingly gorgeous competitor threatens it all. When an unexpected kiss takes them both by surprise, it's not long before fury turns to red-hot passion! Faded by a sun as relentless as the wind, the red letters on the side of the weathered building announced she'd arrived. Cassandra Halverson hitched the skirt of her olive traveling suit and stepped off the MKT train amongst a splattering of Army men, Indians, and those she'd rather not notice. The last depot before entering Indian Territory. Trains didn't even go west from here. Only Indians, horse thieves, Mexican traders, whiskey peddlers, desperadoes and those associated with the U.S. Army were brave or crazy enough to do that. She'd chosen Tulsa, or Tulsy town as some called it, because of that. People here didn't question others about their past. The town was growing fast, and would continue to now that the railroad was here. Every man, woman and child would need clothes, and she was here to sew them. She was making a name for herself, and a living, but could make much more if not for Micah Bollinger. Besides his golden-brown hair and gold-flecked brown eyes, Micah had a silver tongue, which he used to wrangle customers out of her shop and into his. A flit of elation put a smile on her lips. She'd outsmarted him this time. No longer Gambling Irv's daughter or Wesley's poor wife, she was Cassandra, and no man would ever get the best of her. She found a spot near the building, where porters unceremoniously dropped luggage and cargo of the travelers ending their voyages while others scurried to load trunks and bags for those departing. The train didn't depot here for long, and to her sensible mind, something she prided herself on, it would be more prudent to wait for the chaos to slow rather than attempting to rifle through it. Before long, and in between two loud steam-filled blasts, the conductor shouted a boarding call, which had the crowd dispersing. "How was your buying trip?" Despite air so hot that the feather on the new straw hat she'd purchased in Wichita drooped over her left eye, every drop of blood in Cassandra's veins froze. She hadn't told anyone where she'd gone, especially not Micah. "Missed me, didn't you?" he drawled. Without glancing his way, she asked, "Would a dog miss fleas?" The Stolen Kiss is related to my February 1st release, The Major’s Wife. 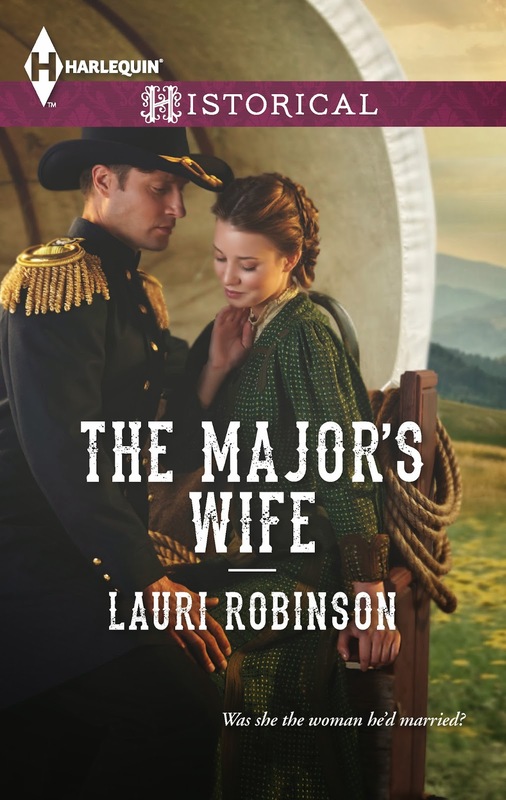 Major Seth Parker knows his wife, and the woman standing before him isn't her. The manipulative vixen who tricked his hand in marriage could never possess such innocence—nor get his heart racing like this! Millie St. Clair has traveled halfway across the country to pull off one of the greatest deceptions ever. But with everything at stake it soon becomes clear that the hardest part might be walking away from the Major when it's all over…. Wow. My first post as a member of Sweetheart of the West. What an honor to be part of this wonderful group of western authors! I’ve always been intrigued by the old west, the Cowboys and Indians, the Scouts, and Frontiersmen. When I think of the “west”, I don’t so much think of cowboys riding the range. It’s wagon trains, and men scouting out the mountains that scream “western” to me. I was born and raised in Germany for the first 12 years of my life, and everything American was just a big thing to us back then. We were always glued to the TV on Saturday evenings, watching Gunsmoke, Bonanza, Little House on the Prairie, etc. When my family moved to the US, I saw my first western movie where the actors spoke English! What?! I thought they all talked German. My friends and I didn’t play with Barbie dolls. We played with our little cowboy and Indian figures, making up great adventures of red men and white men as friends, working against an evil gang of outlaws. Probably most of that stems from the “western” books I grew up with. A German author by the name of Karl May wrote volumes upon volumes of adventure novels about the American west, with larger than life heroes. His primary heroes weren’t cowboys, though. His characters were scouts and mountain men, and Indians. 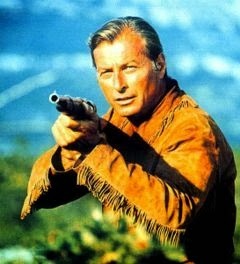 Old Shatterhand, the man who came to the west as a “greenhorn” fresh from Europe, and became an overnight legend as scout and frontiersman, along with his Apache blood-brother Winnetou, and his Mountain man/scout sidekick Sam Hawkens, kept us turning the pages and glued to the T.V. Other heroes had colorful names such as Old Firehand, and Old Surehand. The one thing I always remember about Old Shatterhand – he dressed in buckskins. I think that’s where my fascination with the mountain man must have originally come from. One thing that amazed me about these books and the author - although historically not very accurate, he writes about the American west with such vivid descriptions, it puts the reader into the stories. However, he himself had never been to America when he wrote the books (1890’s). My then-future husband introduced me to camping the summer after our high school graduation. 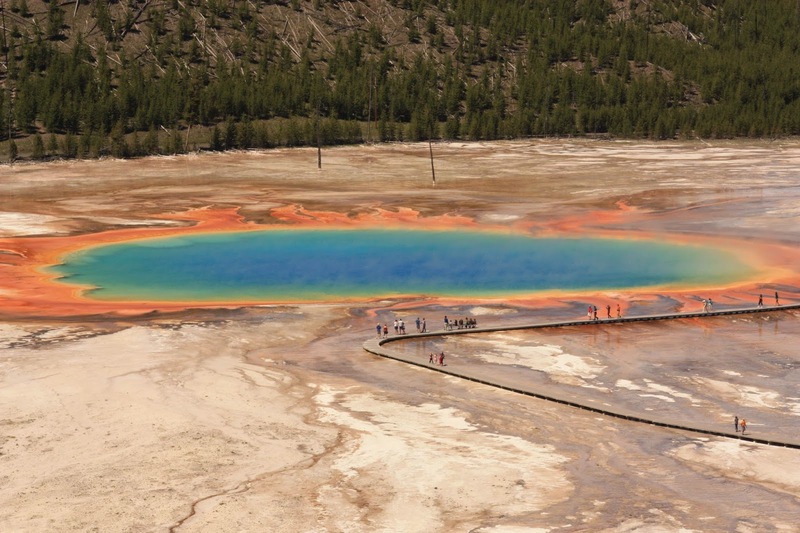 That’s when I discovered Yellowstone National Park, and I was hooked. Who wouldn’t be in awe of the beautiful landscape, thermal features, and the wildlife? I learned about the park’s history, and about the mountain man and fur trapper. 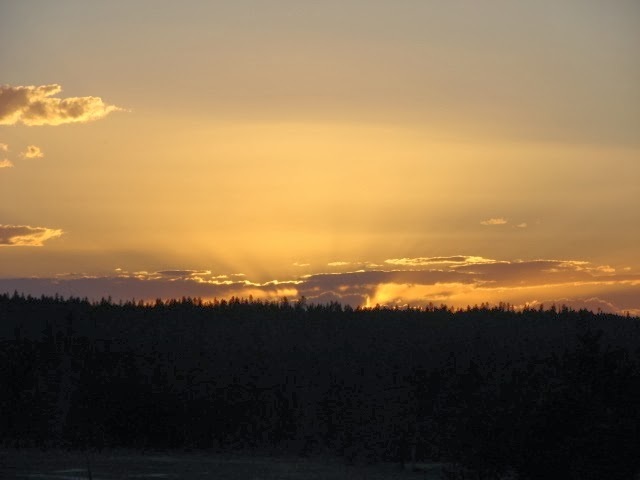 So, when the basic story idea for my debut novel, Yellowstone Heart Song came to me, I could think of no other setting than Yellowstone, and no other hero than a mountain man who carved out his living in the Yellowstone Wilderness of the past. I hope to share some of the fascinating history of Yellowstone, the fur trappers and mountain men who were, after all, the west’s first trailblazers, in my upcoming posts. For now, let me leave you with a short passage from Yellowstone Heart Song, truly the book of my heart. Today’s post is a revamped version of an article published on Cowboy Kisses in April 2012, and originally on Lyn Horner’s Corner in 2011. Sweethearts of the West is dedicated to western romance readers and authors. As such, I thought it might be fun to pass on a little history of the genre, and how I came to love it. Historical Romance as we know it was born in 1972 with the publication of The Flame and the Flower by Kathleen E. Woodiwiss. 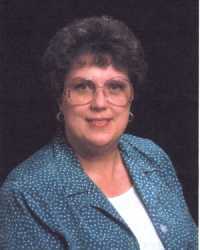 After her death in 2007, Ms. Woodiwiss’s editor, Carrie Feron, called her “the founding mother of the historical romance genre.” She wrote epic adventures with strong plots and character development, and she dared to include sizzling love scenes that went far beyond a kiss and a hug. However, she was not the first to write western romances. Sweet Savage Love set the stage for authors such as LaVyrle Spenser, Kat Martin, Linda Howard, and many more. But where did modern western romance spring from? What sets it apart from earlier literary genres? The taproot of all modern romances, westerns included, traces back to nineteenth century authors of romantic fiction such as Jane Austin and the Brontë sisters. Their books are notable for commentary about life in their time period. Some of the stories do not end happily, as most modern romances do, but they contain strong romantic themes. The other main root of western romance leads back to classic shoot-em-up westerns, but the two genres differ greatly. Westerns are action driven and often focus on male characters; women are sometimes little more than props. Western romances, on the other hand, frequently tell the story from both the woman’s and the man’s point of view. The plots may be action-packed but they are largely character driven. My love of western romance evolved in the same way from classic westerns. I’ve always loved tales of the Old West thanks to my dad. He was a Texan born only a few decades after the great cowboy era, and I believe he always wished he’d lived in those days. With him, I watched every western he could find on TV. Later, he started me reading western novels, mainly those of Zane Gray. I remember writing book reports on westerns when I was in junior high. The usual girly books bored me to tears. 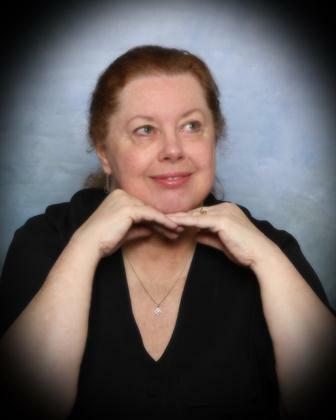 Then, as a young married, I discovered the Romance Revolution – so named by Bertrice Small in a newsletter article she wrote in 2007 for Long Island Romance Writers. She was, of course, talking about the beginning of modern romance, in which she played a part. With this revolution came the birth of western romance, and once I discovered this sub-genre, I was hooked. Some years later, I began writing my own stories, publishing my first book, Darlin’ Irish, in 2010. 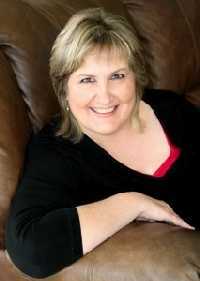 A prequel novella and two more novels in the Texas Devlins series followed. 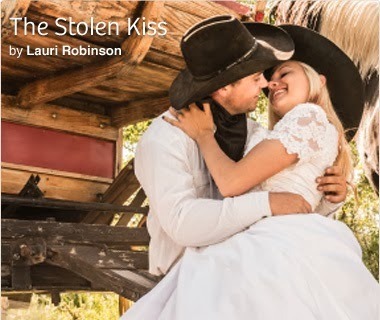 In the tradition of western romance, they combine fast-paced action with passionate love stories. h, and a glimmer of psychic magic and Irish charm just for fun. Book two, Dashing Irish (Texas Devlins, Tye’s Story) features a cattle drive – a nod to my favorite John Wayne classic, Red River. In this scene feisty cowgirl Lil Crawford is driving off a troublesome band of wild mustangs, with help from a certain pesky Irishman. She glanced over her shoulder, already knowing it was Tye. He waved and grinned, blue eyes twinkling in the sunlight, much like the bluebonnets spread among the prairie grass and other wild flowers along the trail. Suddenly lighthearted, Lil smiled and waved back. “We’d better drive them off a ways, or they’re liable to turn and come back,” she shouted above the thunder of hooves. “Whatever ye say, milady,” he called. Flashing her another impudent grin, he took position on the other side of the horse herd. They pounded onward for a couple of miles. By then, Lil felt reasonably sure the mustangs wouldn’t return to harass the cattle. Spying a buffalo wallow partly filled with rain water, she waved her arm, catching Tye’s attention and signing for him to pull up. “Let’s water our horses,” she called, pointing to the wallow. Lil glanced at him sharply as they approached the pond. Was he serious? If so, he could forget it. She wasn’t about to strip down in front of him. That would be asking for trouble, maybe more than she could handle. He looked at her and sighed. “Aye, I know. But a man can wish, no?” His warm gaze said he wished for more than a bath, causing Lil to hastily avert her eyes. Dismounting, they led their horses to the wallow. While the animals drank their fill, she and Tye knelt nearby to drink. Though tepid and a little murky, the water tasted a lot better than trail dust. Once she’d quenched her thirst, Lil splashed water on her face, washing away some of the grit. She, too, longed for a bath. If her father located a creek where they could bed down tonight, maybe she’d find a hidden spot and clean up proper. 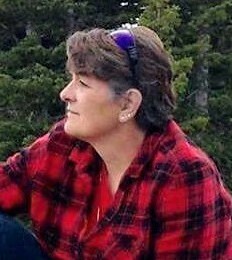 For now, she pulled off her grimy bandanna, rinsed it out and swabbed her throat and neck. Beside her, Tye plunged his head into the water, swished it back and forth vigorously and threw more water over his neck. He came up dripping, shirt half-soaked. Swiping water from his face, he took a breath and slicked back his hair. The wet tendrils immediately sprang back into unruly waves, making Lil long to run her fingers through the glistening black strands. Tye turned his head and caught her staring. Stunned by the instant leap of desire in his eyes, she gazed into their beckoning depths. Her mouth went dry and her heart pounded wildly. She still held the wet bandanna pressed to her throat. Shifting to face her, Tye took the wadded up material from her and tossed it aside. She was mesmerized by his caressing gaze, but when he leaned close, panic set in. He mustn’t kiss her again. That would be playing with fire. “No!” she cried, pushing him away. She jumped up, but before she’d taken two steps, he was on his feet, catching her arms. “Lily!” he murmured, soft tone imploring her not to run. This time she couldn’t force herself to stop him as he bent toward her. 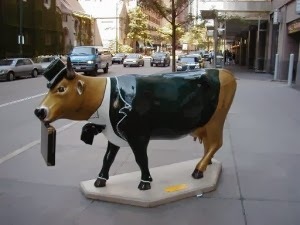 Anyone who has researched cowboys and cattle knows of the Chicago Union Stock Yards. In 1848, when Chicago was only a hub for transporting livestock from the West to the rest of the country, small stockyards such as Lake Shore Yard and Cottage Grove Yard, were scattered throughout the city along various rail lines. As the railroads expanded westward, Chicago evolved into a large railroad center. With the increase in the number of trainloads of livestock, the need for a centralized stock center became obvious. In 1864, a consortium of nine railroad companies acquired three hundred and twenty acres of swampland south west of The Loop, and the Chicago Union Stock Yards was born. By 1890 the yards were handling more than nine million cows, pigs and sheep a year. That’s a lot of hooves! But I wanted to know who took care of all those critters. Before the creation of the stock yards, tavern owners provided pastures and care for cattle herds waiting to be sold. Eventually they built 2300 livestock pens on the 375-acre site. My next question: who moved all those animals around? I had visions of cowboys working in downtown Chicago. In truth, the cowboys only moved the doggies as far as Dodge City, Kansas City, or one of the other termini of the cattle drives. They didn’t drive them all the way to the windy city. In the early days of the Stock Yard, drovers herded cattle, hogs, and sheep down two wide thoroughfares from the railroad cars to the pens. Then the railroad consortium built more rail lines, delivering the livestock right to the holding pens—and removing the need for the drovers. It’s a shame really. A thousand head of longhorns mooing their way down Michigan Avenue ahead of a couple of heart-stopping cowboys would have been entertaining. 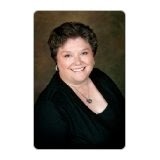 ~~*~~Tracy will give away a copy of HEARTS AND SPURS to one visitor who comments. Thank you.